In my family, we ALL love cinnamon rolls! Like, really love! But no one wants to get up and make them on the weekends, so I searched and searched, and came up with an awesome recipe for crockpot cinnamon roll casserole. Since this obviously doesn’t take a whole night to cook, I set it up the night before, put it in the fridge, and then get it out when I first wake up in the morning (I am ALWAYS the first to get up to feed the cats, let the dogs out, and go for a run) and it is generally ready by the time I get back from running. To make clean up easier for this recipe, I always use a crockpot liner. 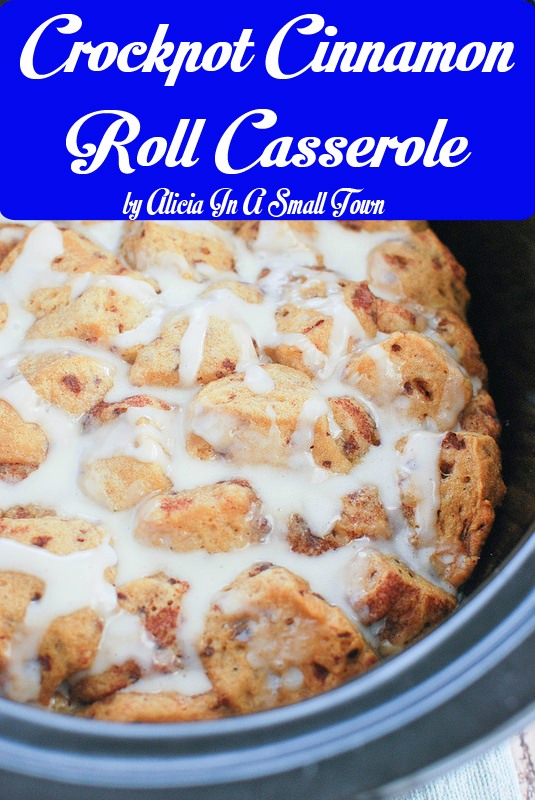 Did you try the crockpot cinnamon roll casserole? If you tried this recipe, please make sure to leave a comment below, I want to hear how much you loved it!